Did you ever hear find new music from a band you like, only to listen to it and wonder if it's really the same band? Like is there some new guy named Eddie Vedder who plays ukulele? 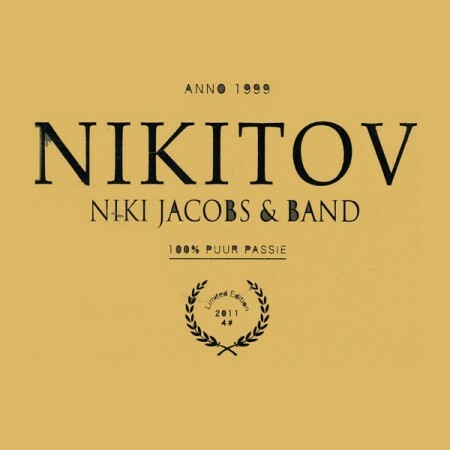 That's the feeling I got when I popped in the new CD from Nikitov, called Anno 1999. I knew that band as a purveyor of traditional yet upbeat klezmer, based on their first two albums Amulet and Vanderlust. Yet here in my ears was a somber sound, the opening song a flowing string and trumpet piece called "Forrest Hymn" and the second song an English-language depressant called "Witness" with lyrics like "Time has been my witness / Watching you make every mistake / Watching you take down all we had." 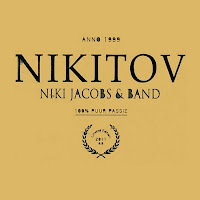 Sure, it sounds like the voice of Niki Jacobs singing, though she doesn't dig into Yiddish lyrics until the third song, "Lullaby," which still contains no hint of klezmer. At this point, I check the web. This is the same Nikitov. Based in Haarlem, Netherlands. And I confirm that it's not just me: other websites describe the band with the same sort of terms used by Chamsa Records, who released Amulet in 2004: "an acoustic ensemble that plays Yiddish songs and Klezmer accented by the rhythms and sounds of Gypsy Jazz and East European folk music." So where's the klezmer and Gypsy jazz? We finally get a whiff of these, eight tracks in on the fiddling and niggun vocals of "Fisherlid" -- and then again in a bigger way "Oy Mayn Khaverte," by far the most energetic track on the album. Such puzzlement marked my first listen to this album, but I went back and listened again. And again. And again. Turns out this is a beautiful album. Crisp acoustic instrumentation, Jacobs' vocals generally soft but with an edge. All rather wistful, quite unlike the joyfully lurching klezmer of their previous albums, and more intimate, more personal, more emotional. Drop most of your expectations based on their past work -- except for excellent musicianship -- and you'll enjoy this melancholy ride.